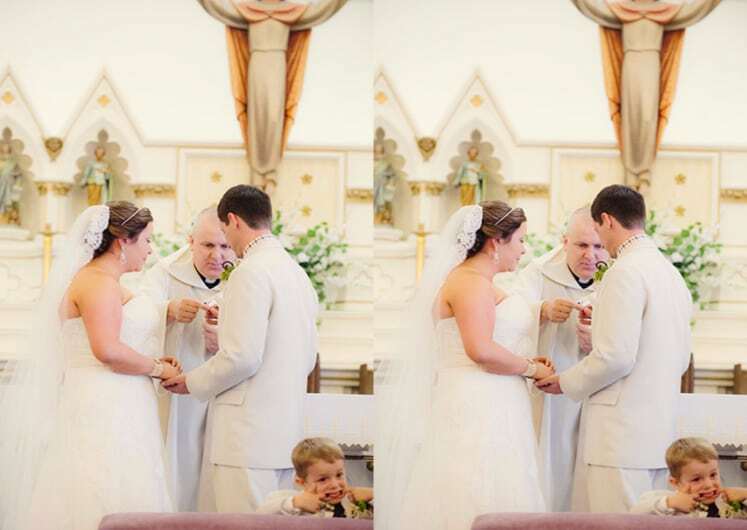 The bride could be a former cheerleader, while the groom is a former sports athlete. Well, that is the only logical reason we have to justify the presence of the chicken mascot. 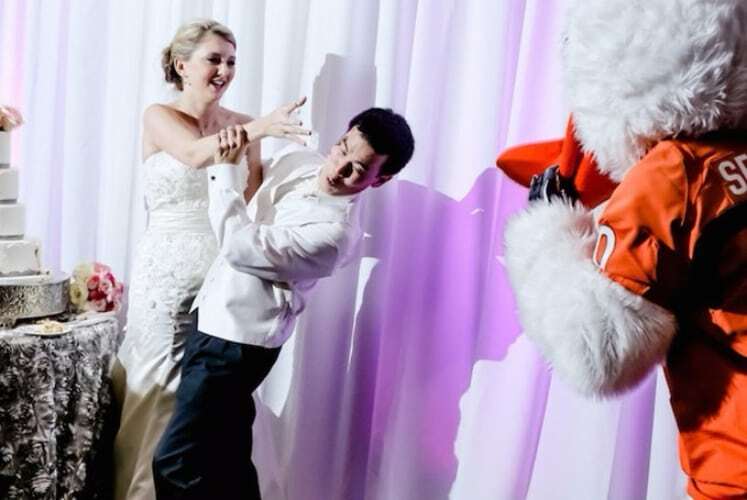 Here is a very precious memory that the couple and the llama won’t ever forget. 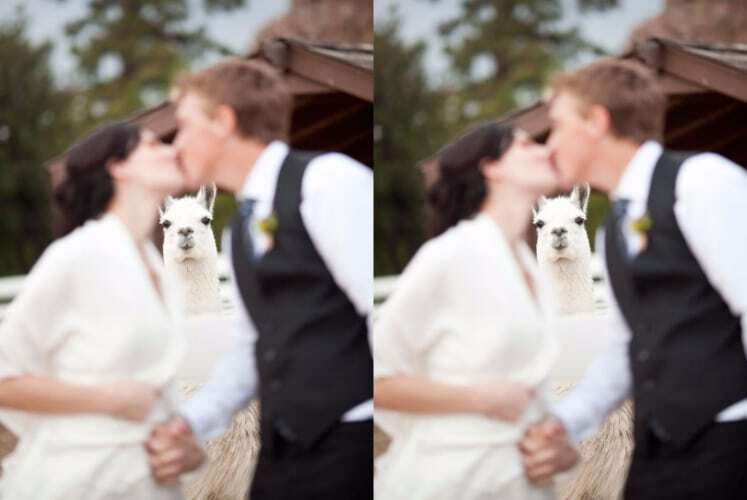 It is funny that the photographer focused on the llama instead of the pair. It appears that the women on the back unintentionally photobombed the picture. 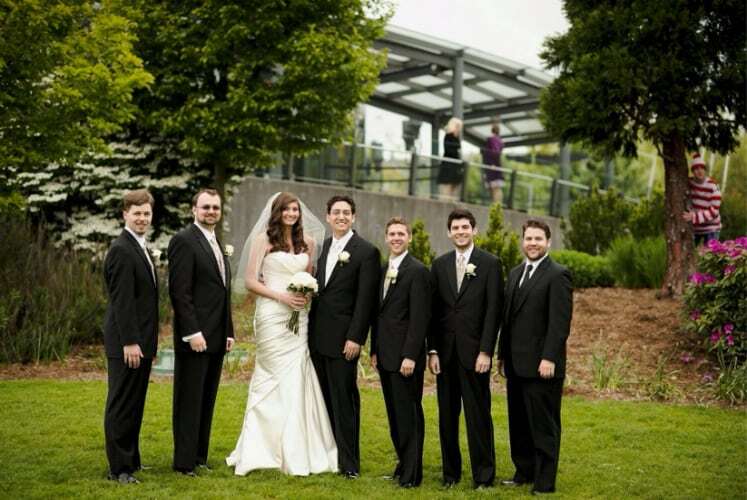 On the other hand, the guy on the right side looks like he purposely stood there to be in the photo. While the groom and bride are having a solemn marriage celebration, there is a little boy who just has to take the first silly picture of the day. 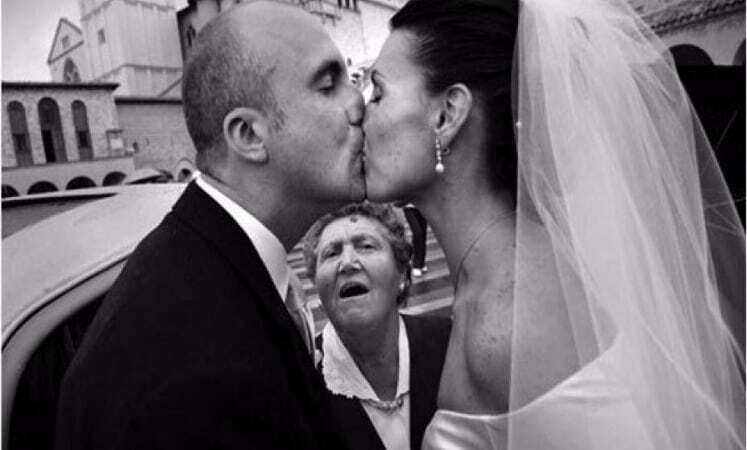 So, this is what a grandma look likes while witnessing a couple shares a kiss. She looks alarmed about the kiss, though.